We had this dish for our tea last night, served with chapatis – delicious. The recipe is from The Telegraph Food and Drink pages. Asparagus, peas, white cabbage or carrot also work well instead of beetroot. 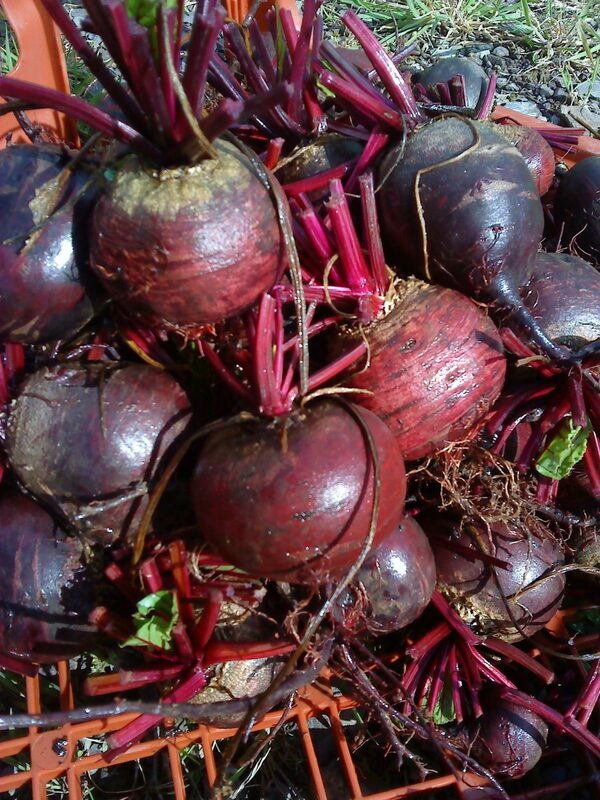 Peel and coarsely grate the beetroot and finely slice the leaves, then mix them together. Heat a large frying pan over a high heat. Add the oil and then the mustard leaves. When the mustard seeds begin to crackle, add the curry leaves and the green chilli, then the red onion, grated beetroot and leaves. Season with salt and continue to stir-fry for about five minutes. Finish with the grated coconut and a squeeze of lemon juice. This recipe was a technical challenge in The Great Sport Relief Bake Off. I’m going to make it tonight as a pudding for my Mum on Mothers’ Day. I may skip the candied beetroot hearts! Preheat the oven to 180C/160C Fan/Gas 4. Grease and line a 30x20cm/12x8in traybake tin. Mix together the flour, cocoa powder and baking powder in a bowl. Blend the beetroot in a food processor until you have a rough purée. Put the purée in a bowl, add the vinegar and buttermilk. Mix to combine. Beat the butter and sugar together until light and fluffy. Gradually beat in the eggs, followed by half the dry mixture and half the beetroot mixture. Continue to mix gently, adding the rest of the dry ingredients and the remaining beetroot. Pour the mixture into the tin and bake for 40-50 minutes. Leave to cool in the tin for 10 minutes before turning it out of the tin and leaving it to cool completely. Meanwhile make the icing. Beat together the cream cheese and butter until soft. Beat in the icing sugar and vanilla extract until they are combined, then spread the icing onto the cooled cake. 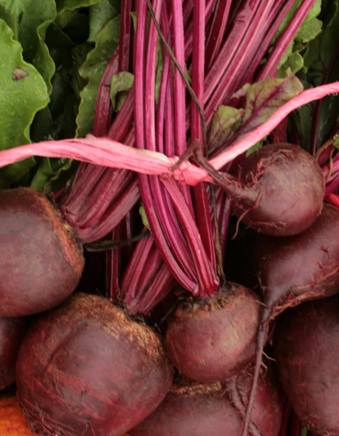 For the beetroot hearts, thinly slice the beetroot, and cut into 12 heart shapes. Boil the sugar in 200ml/7fl oz water until the sugar has dissolved, then add the beetroot hearts and simmer for about 10 minutes until soft and translucent. Using a fork, carefully remove the beetroot hearts from the hot sugar syrup and carefully lay them on paper towel to soak up any excess syrup. 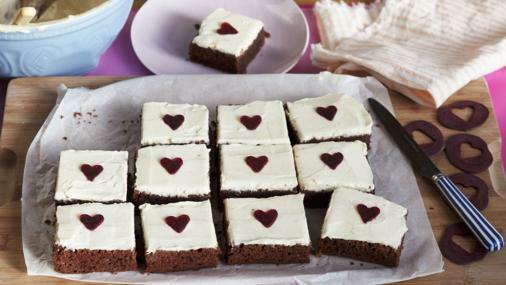 Slice the cake into 12 even squares, and then decorate each square with a beetroot heart. 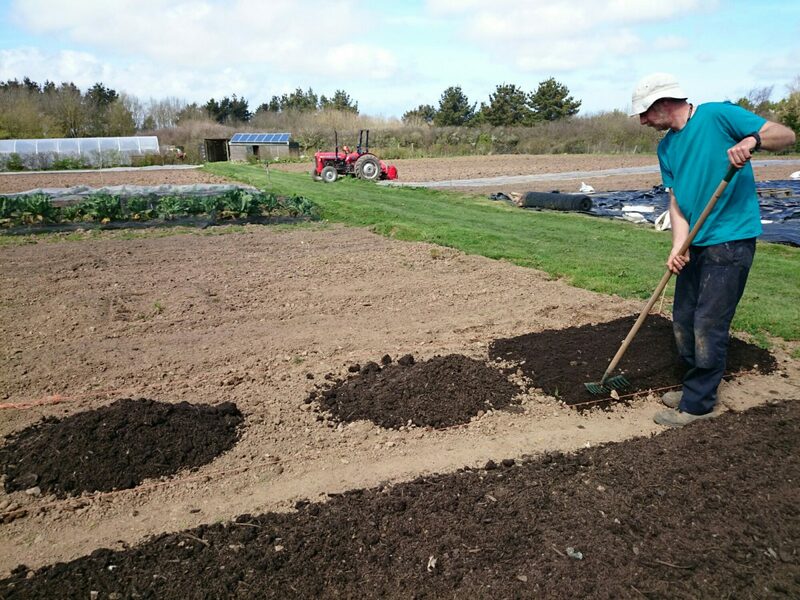 Mark N is ploughing, weeding, composting and raking the veg beds set aside for root veg – carrots, beetroot, fennel and parsnips. 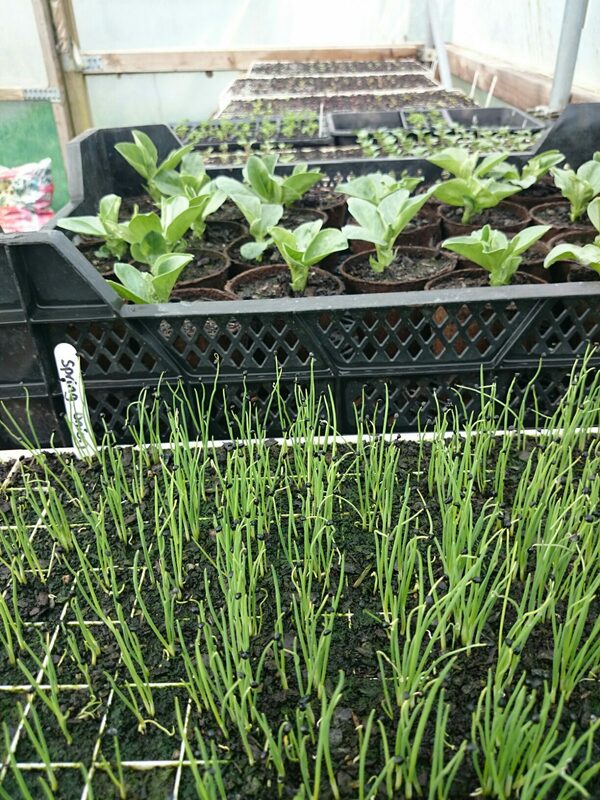 In the meantime young plants in the seeding tunnel are growing well in the warm conditions and strong spring light. 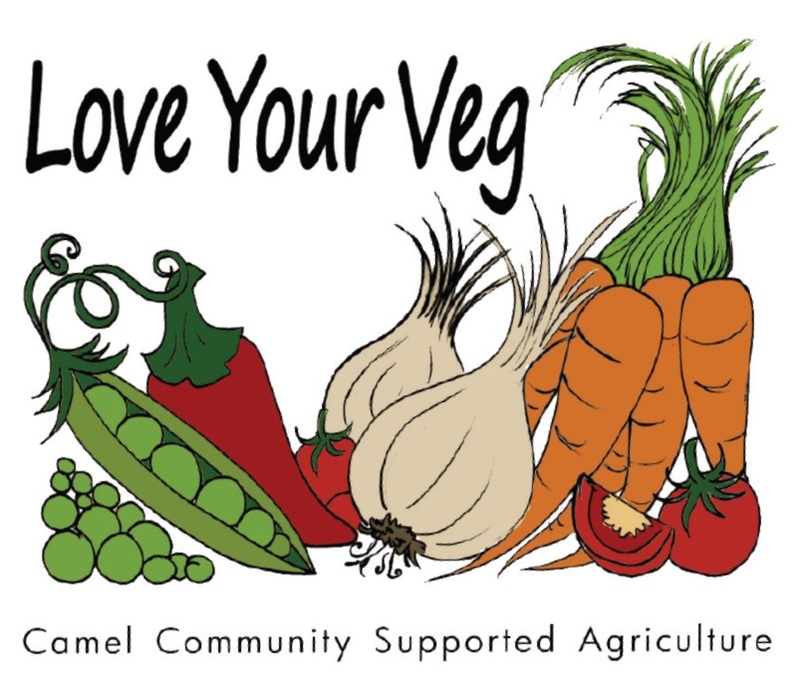 This recipe is from Hugh Fearnley-Whittingstalls book Veg every day. 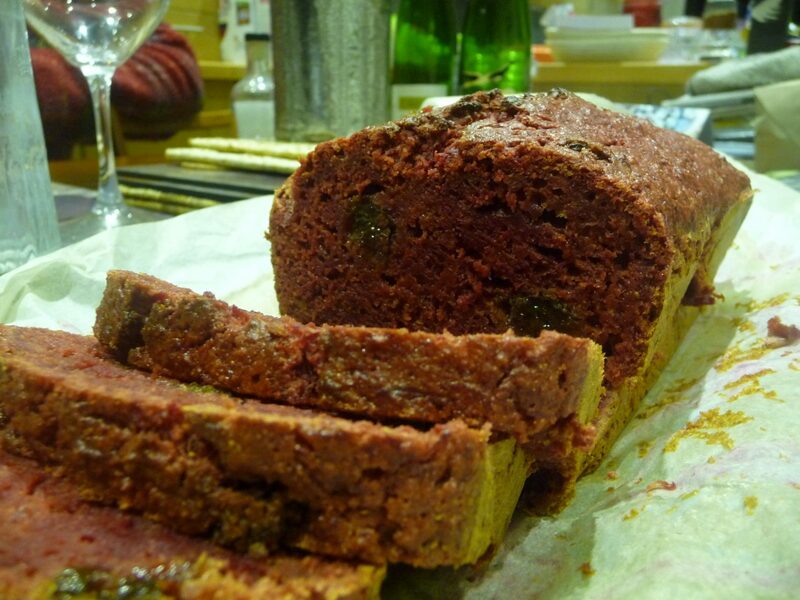 The original recipe was for a pumkin and raisin loaf but he suggested using beetroot instead – I’m not sure about the colour! The loaf itself is rich and sweet but also light as it doesn’t contain any butter or oil. 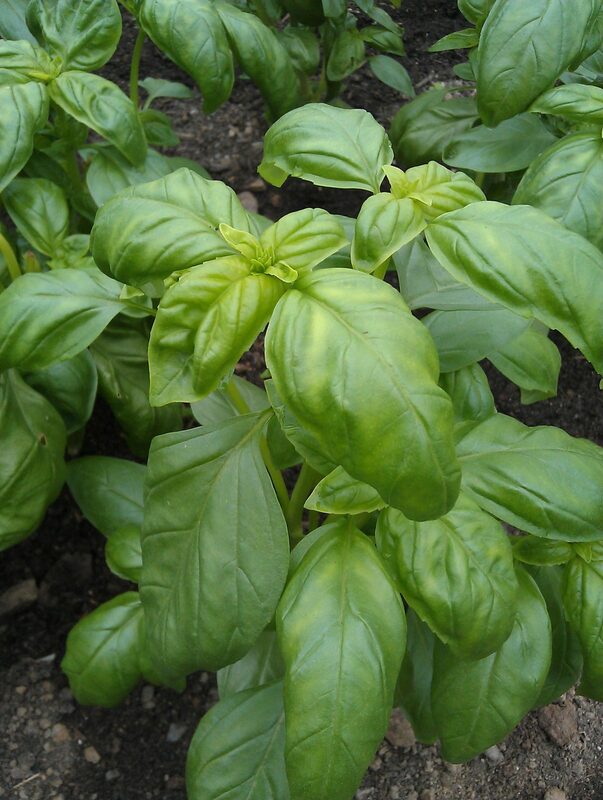 Spring has almost sprung and we’ve got plenty of greens in the vegetable boxes. 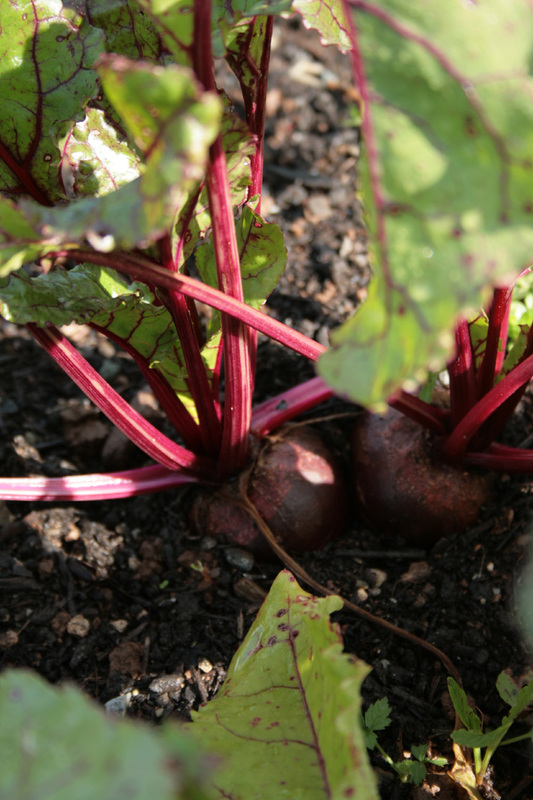 We’ve got new crops of beetroot and spring onions from the polytunnels in our boxes this week. Have you carved the pumpkins in last week’s boxes ahead of Halloween? There weren’t any to be had for love or money in nearby Wadebridge today! 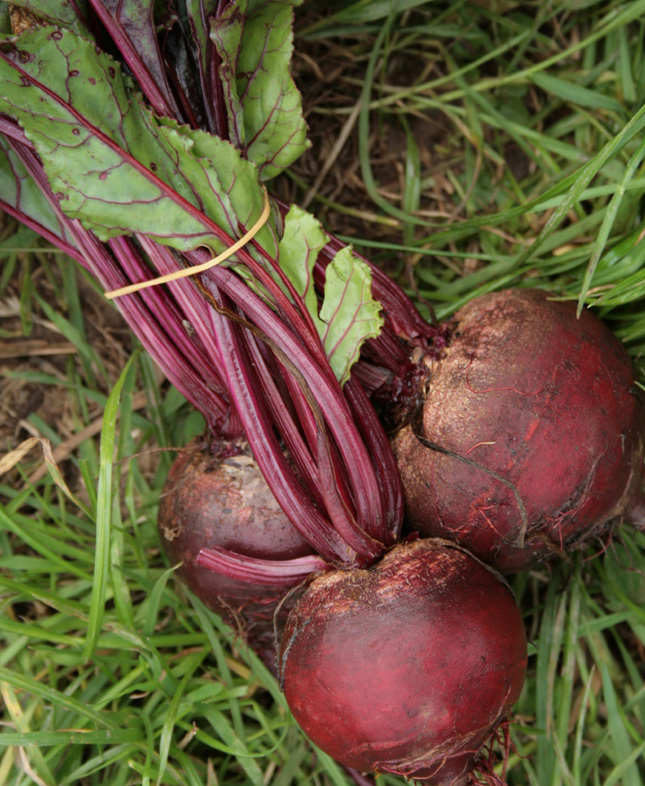 It has to be said I’m not a great fan of beetroot but this recipe has become a staple in our household. It is from Jamie Oliver’s book Cook with Jamie. 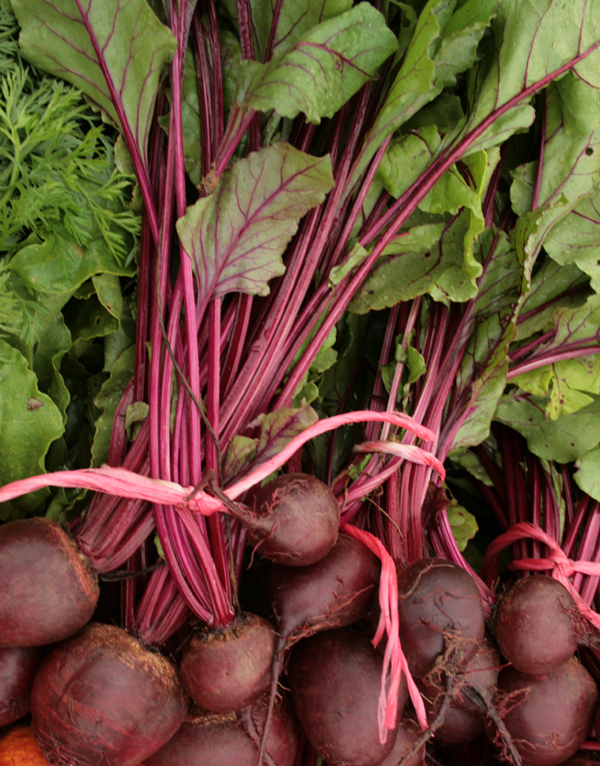 Dress the beetroot and pear matchsticks in a little of the lemon oil dressing and season with some salt and pepper. Taste to check the flavours are balanced and lovely, and add a little more lemon juice to check the sweetness of the pears and beetroots if you need to. Divide the salad between four plates or put it on a big platter, crumble over the creamy white feta, and sprinkle with the baby mint leaves and the sunflower seeds if using them.